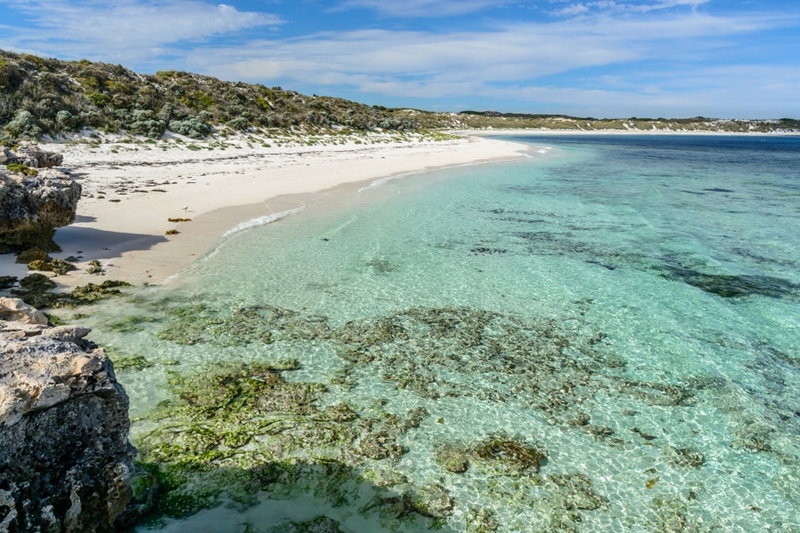 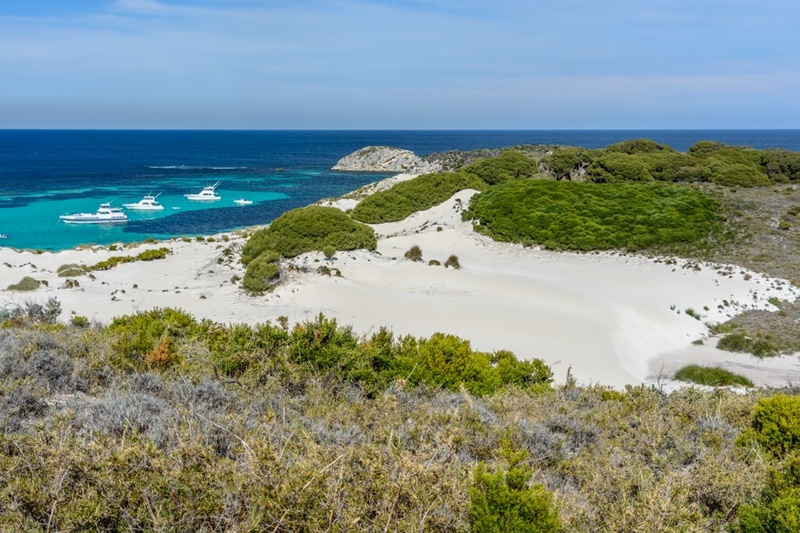 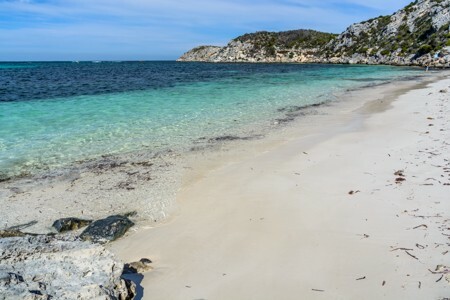 Rottnest Island is a nature paradise just minutes from Fremantle or Perth by boat, and is an ideal destination for a day trip among fantastic beaches, coral reefs with tropical fish and relaxing landscapes in a car-free environment. 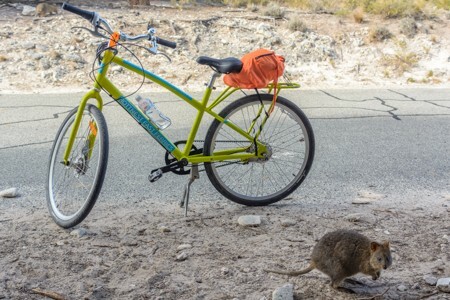 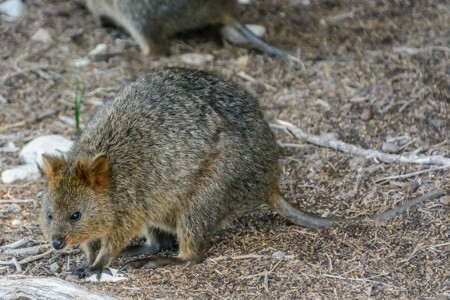 Rottnest Island is also known to host numerous quokka, a small marsupial which world's population is limited exclusively to a small area of Western Australia. How to get to Rottnest Island? 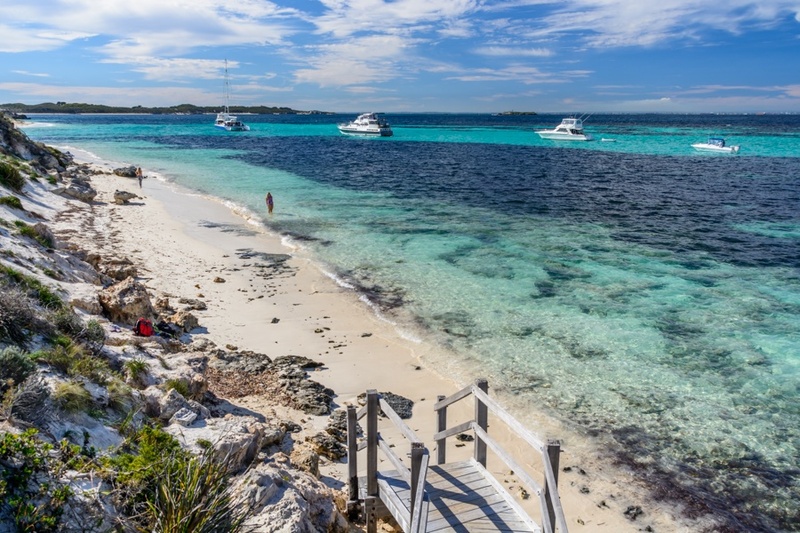 Depending on the exact departure point, Rottnest Island is within 30 to 90 minutes of sailing respectively from Hillarys, Fremantle and Perth areas. A ferry service is offered by various companies, providing multiple departures throughout the day, therefore allowing to leave in the morning from the mainland and return in the evening. 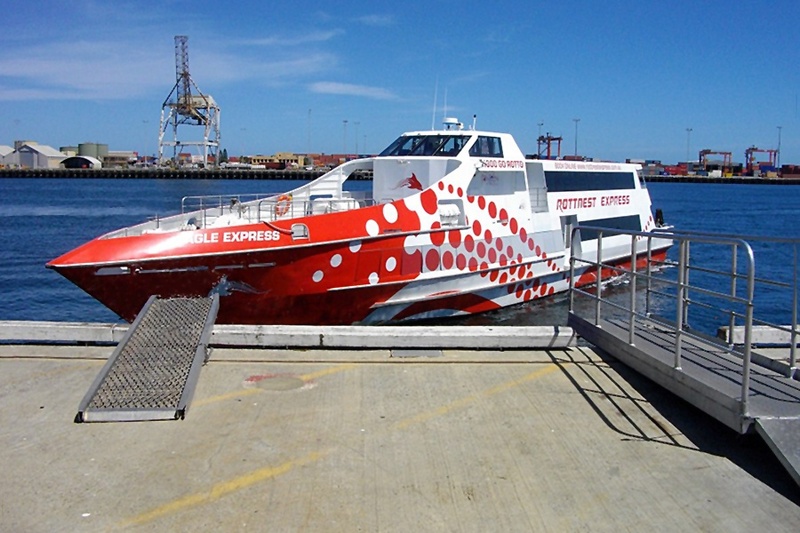 One of these companies is Rottnest Express, offering not only the passage to the island, but also fully inclusive tourist packages, with pickup at your hotel and use of transport on Rottnest Island (usually by buses, bicycles or small boats). 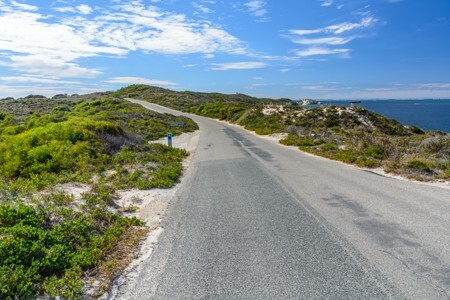 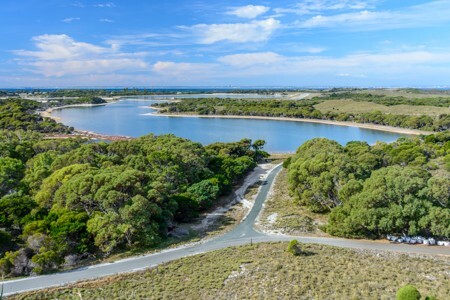 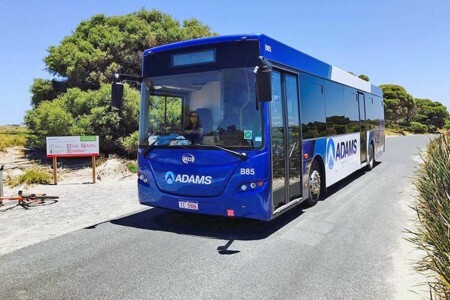 Rottnest Island has a total road network of about 40 kilometers, with a bus stopping at the most interesting spots (obviously you can jump off the bus and continue your journey on the next, each time you would like to). 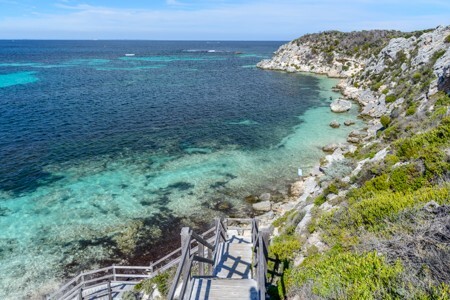 Private cars are not allowed on Rottnest Island. Among the various options to get around Rottnest Island, I chose to rent a bike. 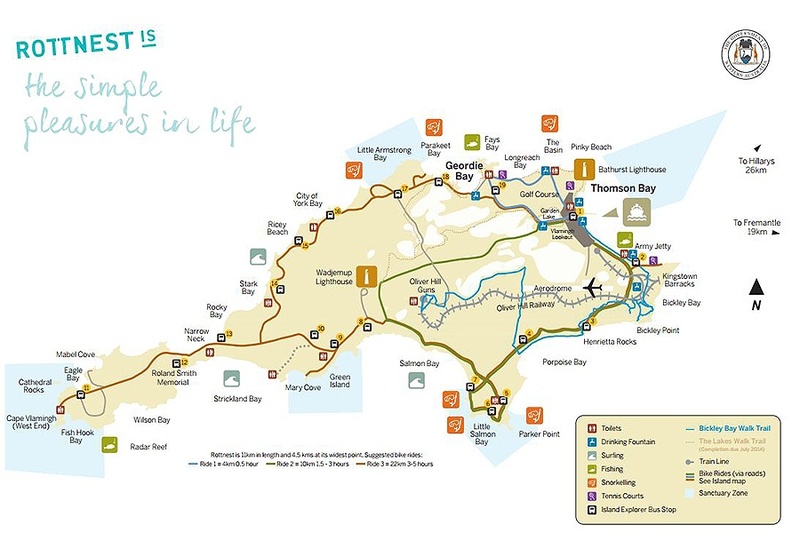 Bike rental is provided with a map showing the various circuits in different colors: due to time and physical preparation (up and downs are quite frequent and sometimes steep), I've chosen the green circuit of a dozen kilometers, which, adding small deviations to see more, will become of about 15 kilometers, keeping me busy throughout the day. 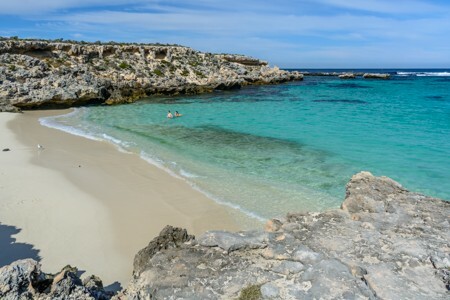 On Rottnest Island there are many white beaches from where you can swim for almost all year long (only between June to September it may be a little bit cold). 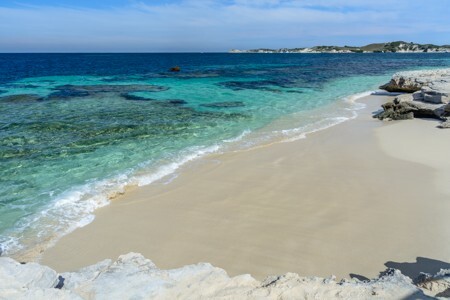 These photos were taken in early May, when the number of tourists is not excessive and the water temperature sometimes exceeds that of the air, making every day a perfect swimming day. 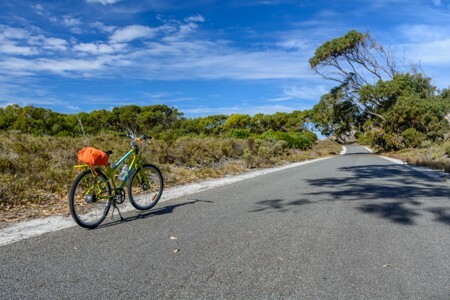 These beaches are all easily accessible by bicycle and are connected to the island's main road through comfortable footpaths or stairs along the cliffs. 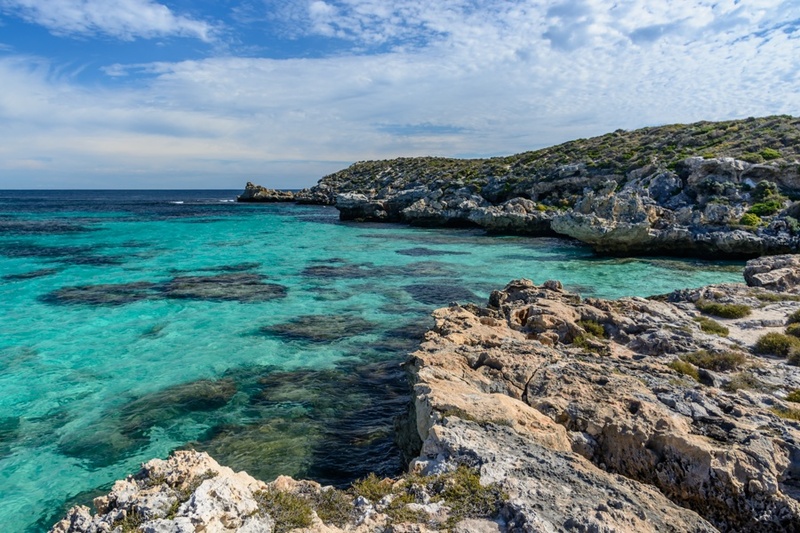 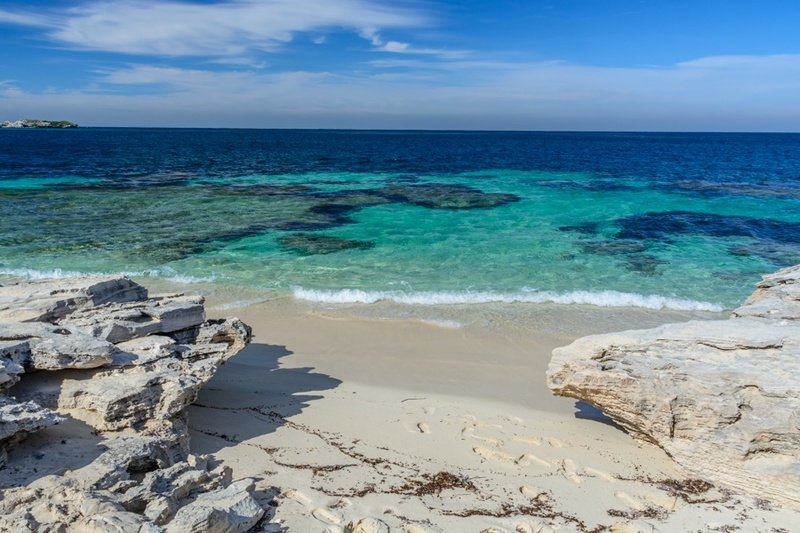 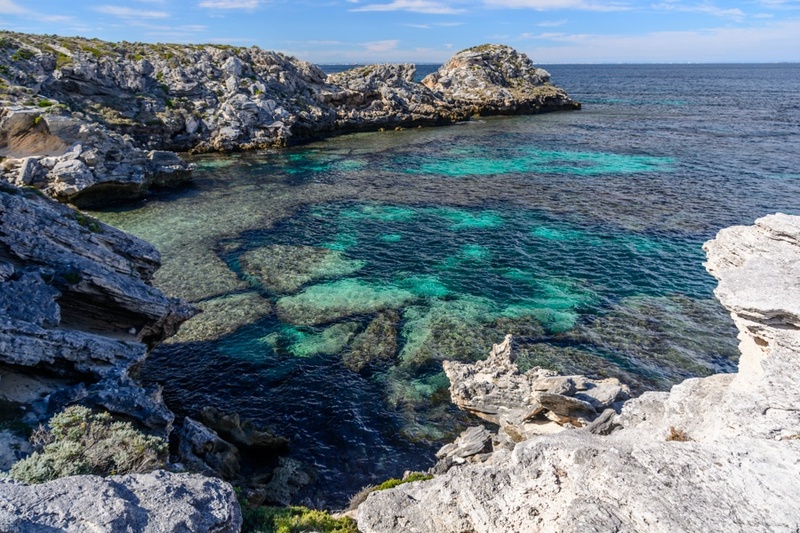 In addition to the beaches, on Rottnest Island there are beautiful rocky cliffs, many of which safe enough to snorkel among corals and tropical fish. 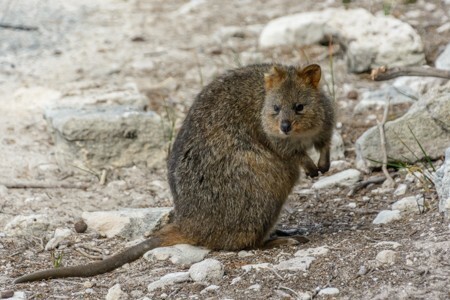 Rottnest Island hosts the Quokka (Setonix brachyurus) a cute and friendly marsupial, whose distribution area in the world is limited to a small area of Western Australia (which is why the animal is classified as Vulnerable, threatened by predators introduced in Australia by man). 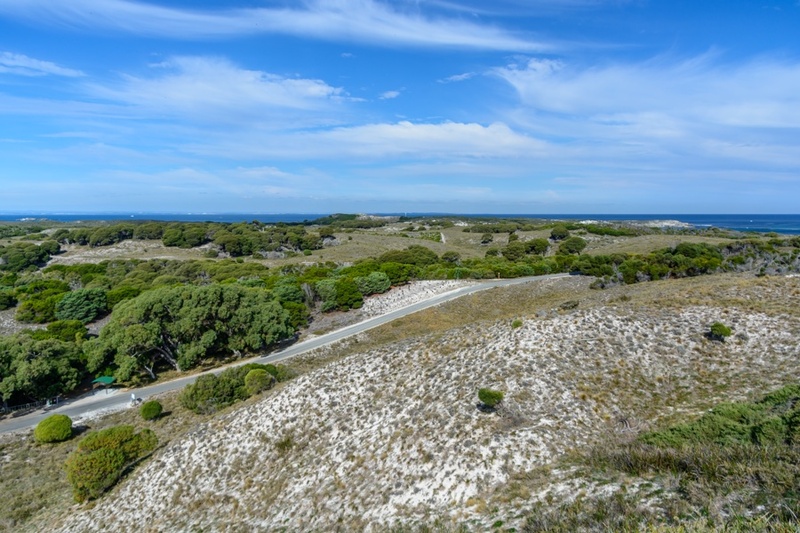 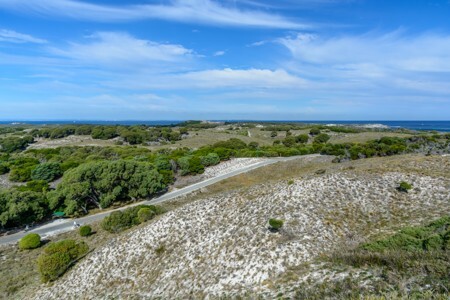 The hinterland of the Rottnest island is dominated by a series of low hills and sparse vegetation. 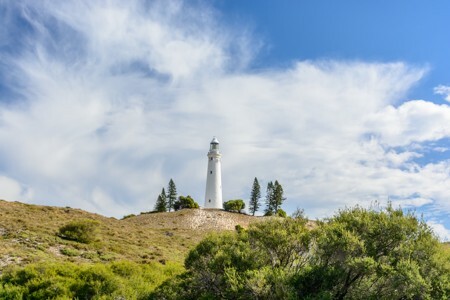 A lighthouse on Rottnest Island, built in 1829 to facilitate the navigation of ships bound for Fremantle port. 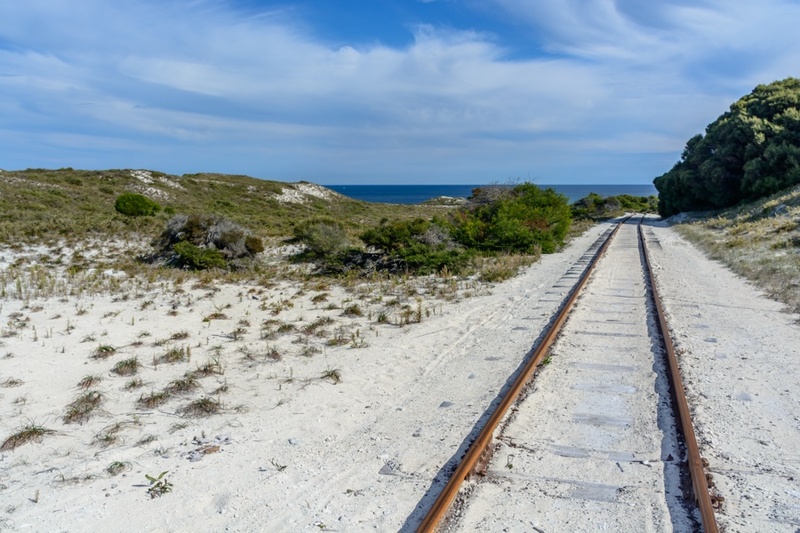 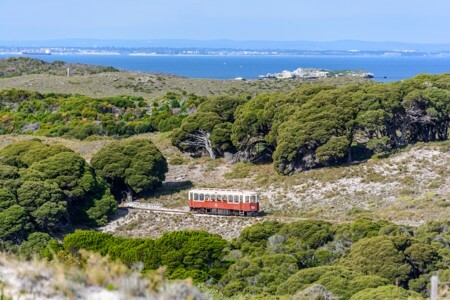 A narrow gauge railway connects the small human settlement on Rottnest Island, with Oliver Hill, a place that was important for the surveillance and defense of Fremantle and Perth. Because of its strategic location, just off the main ports of Western Australia, Rottnest Island was of great importance for the surveillance and defense of the coasts before and during World War II. 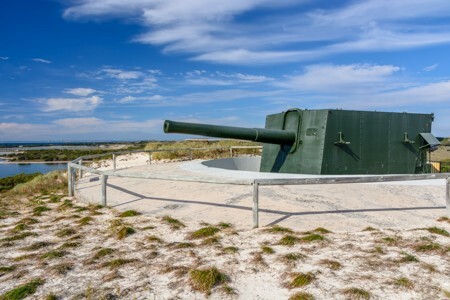 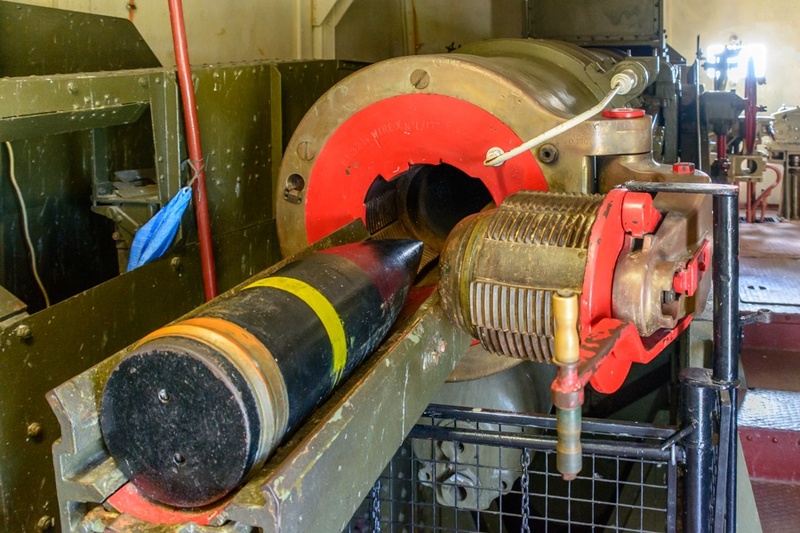 A 235mm bullet gun, installed on top of Oliver Hill, had a range of 28 kilometers and was kept in service until 1960, before it was transformed into just tourist attraction. 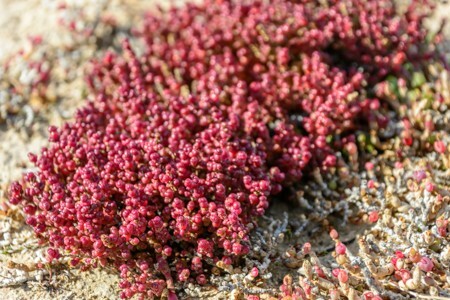 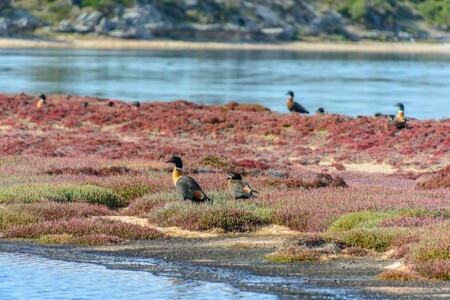 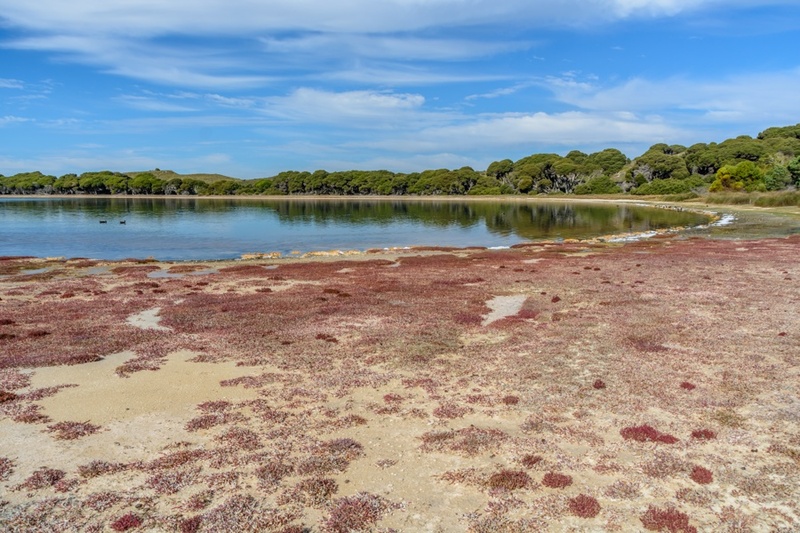 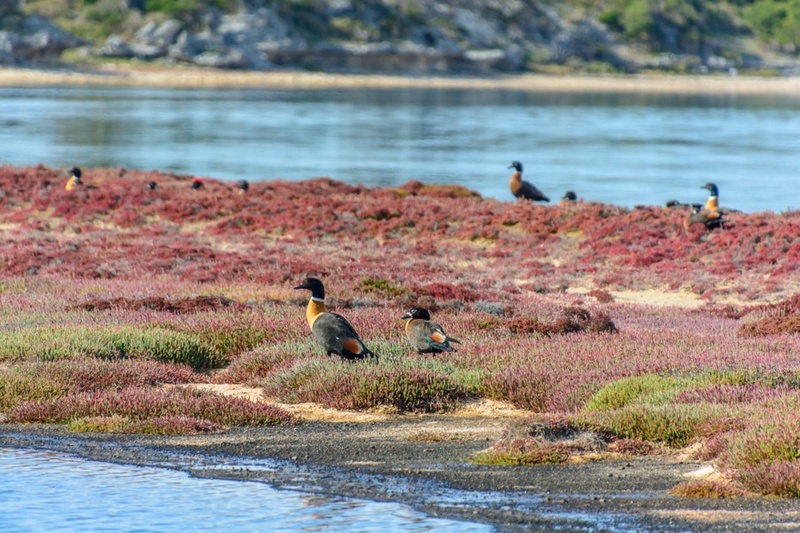 On the island of Rottnest there are some hyper-saline lagoons, where several birds live, and where the vegetation is mainly represented by Salicornia, with its typical reddish coloration. 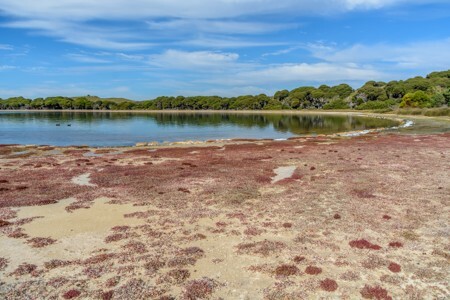 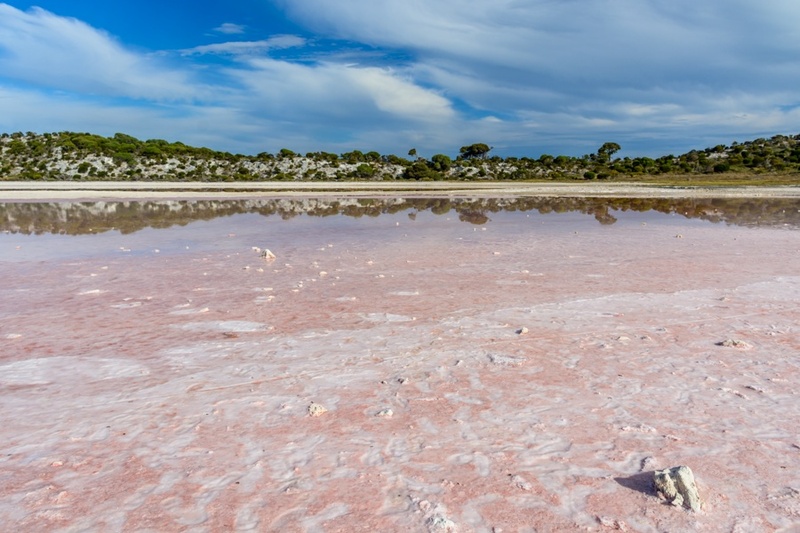 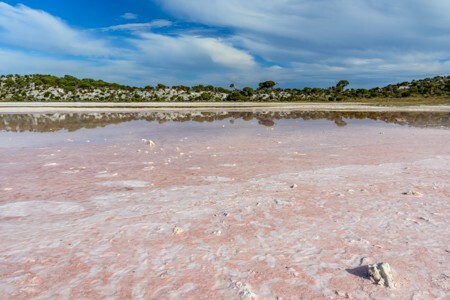 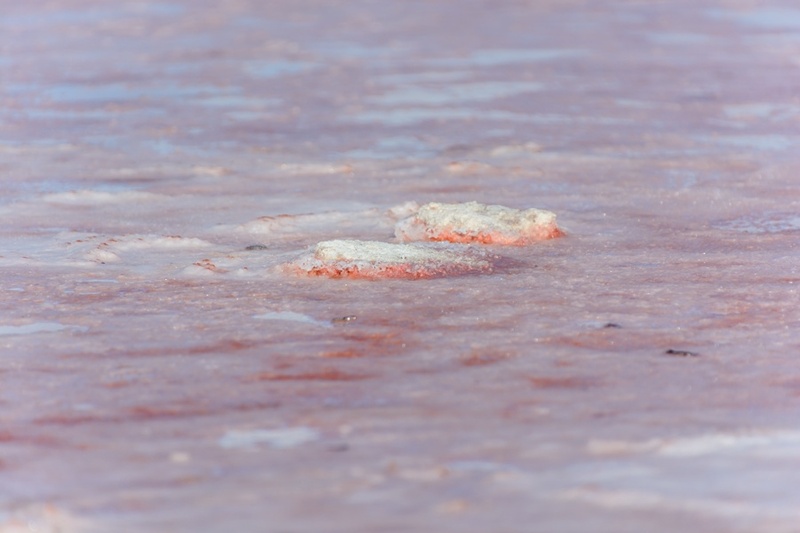 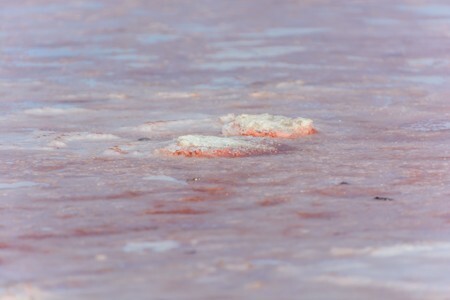 A hyper-saline lagoon on the island of Rottnest, with its reddish coloration. 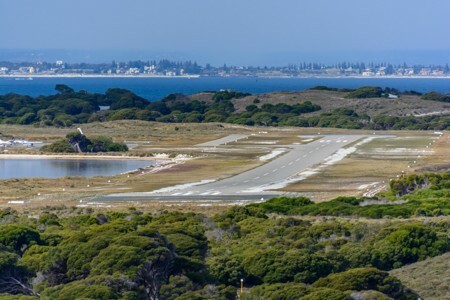 Rottnest Island has a small airport used as base for sightseeing flights and as a faster link with the mainland.